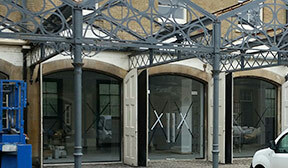 Norman & Underwood are installers and suppliers of all roof glazing styles including repairs and replacement glass. Supplying roof glazing and skylights across Leicester, Nottingham, Derby and beyond, Norman & Underwood are the professionals to choose. 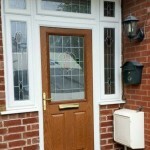 When quality craftsmanship, paired up with excellent customer service is desired, then we are the company to turn to. 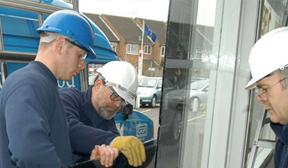 Norman & Underwood supply and fit thermally broken high-performance glazing systems of the highest quality. Roof glazing presents homeowners, commercial property owners and retail units a wide choice of creative solutions for bringing light into the living space. It may be that you are looking for a specialised patent glazing solution or replacement roof glazing for damaged or faulty units. If your existing roof glazing has been damaged or broken, through an accident or by an intruder, then you will want to get the glazing replaced as quickly as possible. 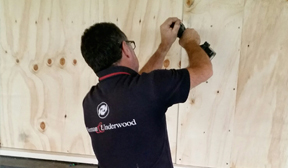 Norman & Underwood are available to assist you at anytime of day and on any day of the year. 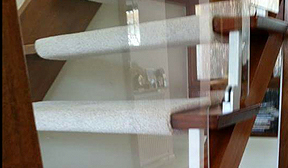 Our preference is to replace the glass straight away but when this is not possible, our craftsmen will board up the opening to prevent unauthorised access and to keep out the elements. The first priority is to remove the broken glass as soon as possible. This can pose a risk to the health and safety of those living in the home or workforce members and clients, in the case of commercial properties. We can discuss the glazing options with you to ensure that the new unit has the characteristics and strengths that you desire. 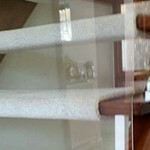 It may be preferable to change the glass for toughened safety glass. In the unlikely event that this is broken, the glass breaks into small peices that are unlikely to cause harm to anyone below. Norman & Underwood operate across Leicestershire and the Midlands and can provide a wide variety glazing solutions for your project. We take care of the technical expertise to ensure that your new light well, glass roof or glass roof access door meets and exceeds both building standards regulations and your own expectations. Glazed roofs and light wells are an excellent option for bringing light into central areas that have no or limited wall glazing. The solar and thermal control can be matched to the characteristics of your home and our double glazed units can provide significantly lower U values. 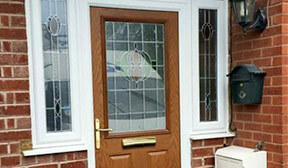 We will offer to you the best choice glass, be that safety glass, tinted glass or double glazing. 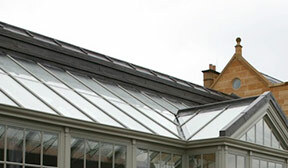 Your roof glazing might need to be walked on and thus it will need to be break-proof. You can opt to have toughened glass in the upper pane only or in both panes and we can discuss the benefits of each solution with you and in a manner that you can easily understand. When it comes to roof glazing from Norman & Underwood, you will enjoy safety, security and functionality in equal measures, call us for more information 0116 231 8000.